See the below flyer, and head along if you can/if it affects you. 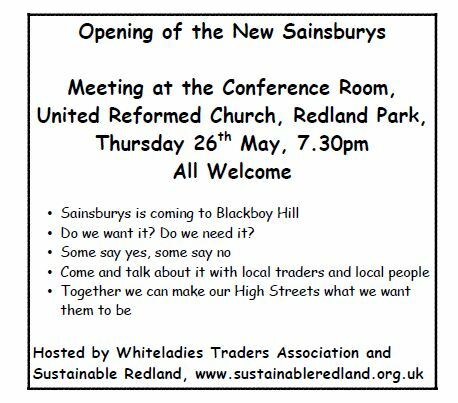 I'm concerned about the extra noise, road congestion and more 'big' supermarkets taking over over Whiteladies Road!! Does this place have access for deliveries at the rear of the building?? I thought the former Woollies building had applied for permission to build an extra story??? Unfortunately, I'm unable to attend this meeting, but would be grateful for my concerns to be raised.